I agree, after the high pitched American Sound studio's in 1969 .. in 1970 Elvis is as far as i am concerned on top of his game. His voice sounds delightfull. ReMMeZ: Nice to hear from a fellow Elvis blogger! Yes, the songs recorded in 1969 are right at the top as well. 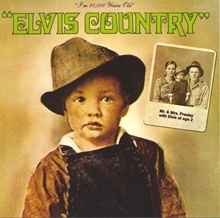 Michael: Elvis Country is certainly one of my favorites as well!